English: Fraser's sunbird; French: Souimanga de Fraser; German: Laubnektarvogel; Spanish: Nectarina Roja. 4.5-5.0 in (11.5-12.7 cm); 0.35-0.54 oz (10-15.3g). Plumage non-metallic, uniform bright green; sexes alike except for orange-yellow pectoral tufts on male only. 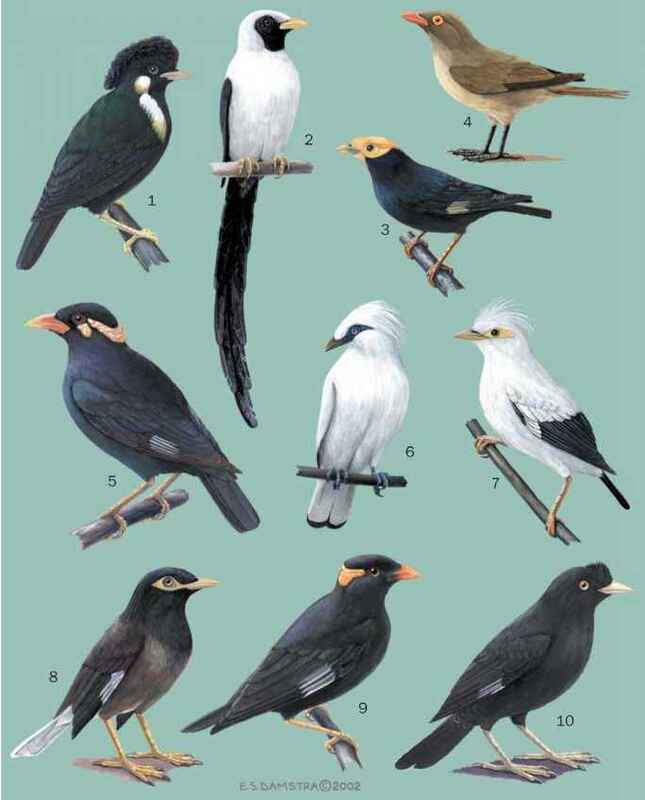 Immature birds like adults but olive-green above and paler below. Central and West Africa from Sierra Leone to Angola. 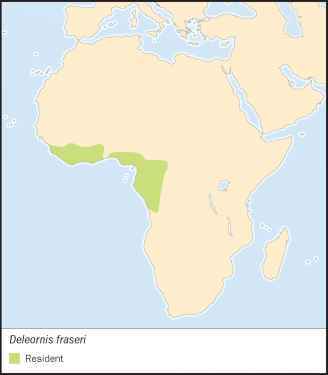 D. f. cam-eroonensis: southern Nigeria to northwestern Angola; D. f. fraseri. Bioko, Equatorial Guinea; D. f. idius: Sierra Leone to Togo.